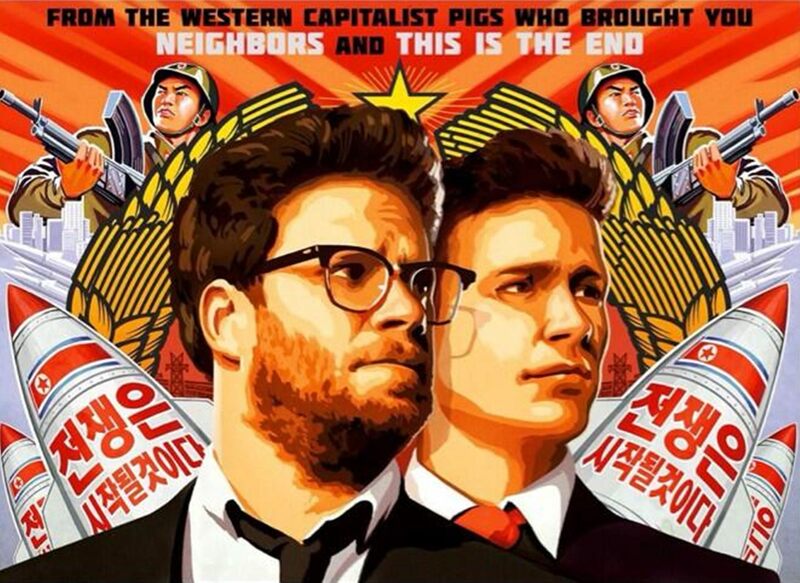 Sony’s movie “The Interview” has drawn a lot of attention. From hackers, president Obama, North Korea, to the everyday pirates and ordinary people. This movie is highly controvensal due to showing the North Korea’s regime from “inside”, depicting the picture of the producer about North Korea. With Seth Rogen and James Franco as main characters, this film tries to present an attempt to kill North Korea’s president, Kim-Jong-Un. There are various references included to the stories we heard from various media outlets. Concentracion camps, slave labor, fake food in shops to present prosperity, and many other weird messages, which raises a question of need to show all these fact if your are making comedy movie. Some people think that the whole Sony’s hacker problem was exaggerated and that they could have done the whole hacking business so they could promote the movies. 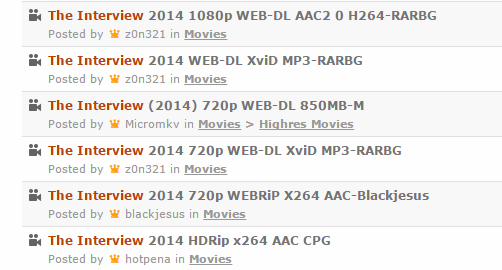 As an act of irony The Interview is one of the highest rated movies on IMDB of all time. As reported by TorrentFreak, The Interview has been downloaded more than 750000 times. Sony has publicly said that they would release movie 2 days ago on streaming platforms like YouTube, and on their own site, due to the threat from hackers. They have treathened to attack physically people at theaters if Sony was to release the movie in them. To prevent that, they decided to release the movie online. What is interesting is that everyone who watched the movie on the Sony’s official page, could actually download it and then share it with everyone, due to available option that should have been hidden from people. Due to that option, it enabled pirates to download the fully movie at near perfect quality and release it on various private websites and torrent trackers. The movie is unavailable to buy or stream from those outside the U.S., so in a way this is an alternative way for them to see this controversial movie, and decide wether was it worth the praise that received from its American public. As always there is a little politic in everything as well as propaganda, so most of the things need to be taken with grain of salt. Grindam does not endorse piracy everything shown is shown for informational/educational use. Microsoft working on new browser, no more Internet Explorer?